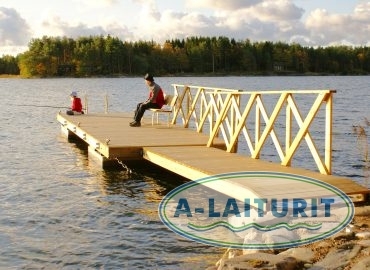 The 4,8m x 1,2m wooden access bridge is intended for connecting small pontoons to the shore. It is fastened to the dock or to the shore. 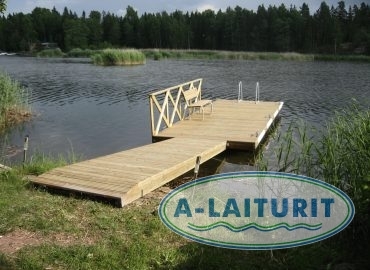 Attachment to the pontoon is best carried out by the use of the A-Laiturit straight joints. 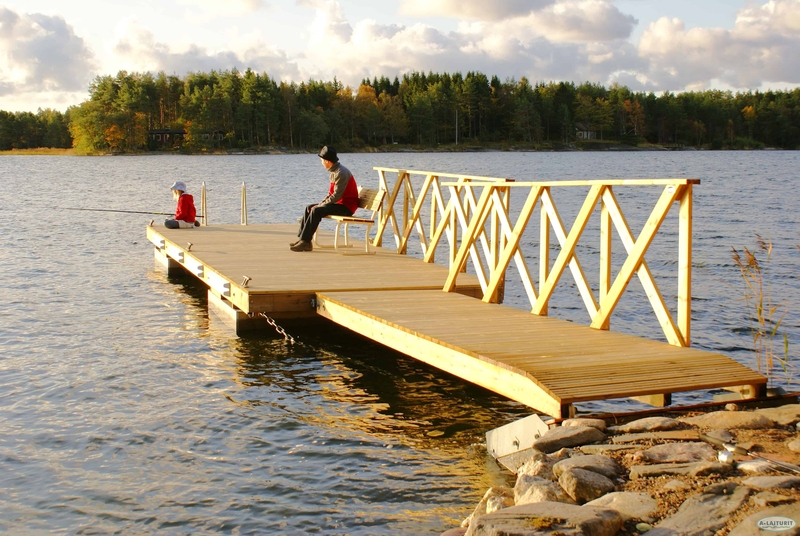 The joints ensure that the gangway is tightly fastened to the frame beams of the dock while the shore-side of the gangway moves freely. If needed, an underlay can be built on the shore for the gangway to move on. Nylon wheels placed underneath the gangway facilitate movement and protect structures. Attaching the gangway to the shore requires a separate ground support or other fastening point. 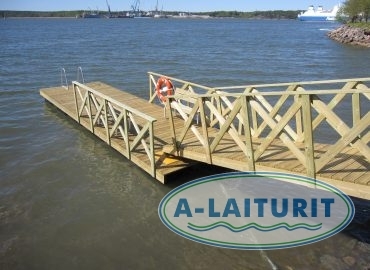 The A-Laiturit catalogue offers a range of different types of ground support that ensure that the gangway is firmly attached to any kind of shore. The other end of the gangway then rests on the dock. 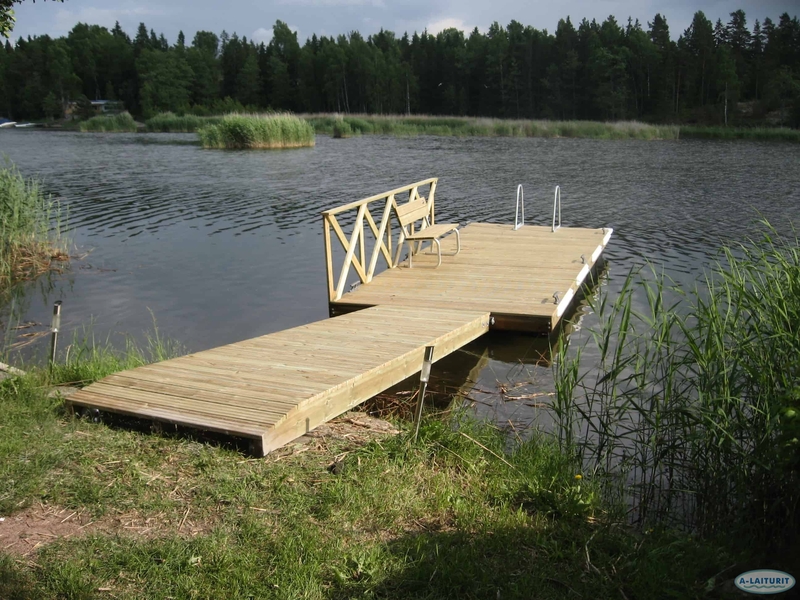 It is recommended placing a protective plywood sheet on the dock in order to protect it. 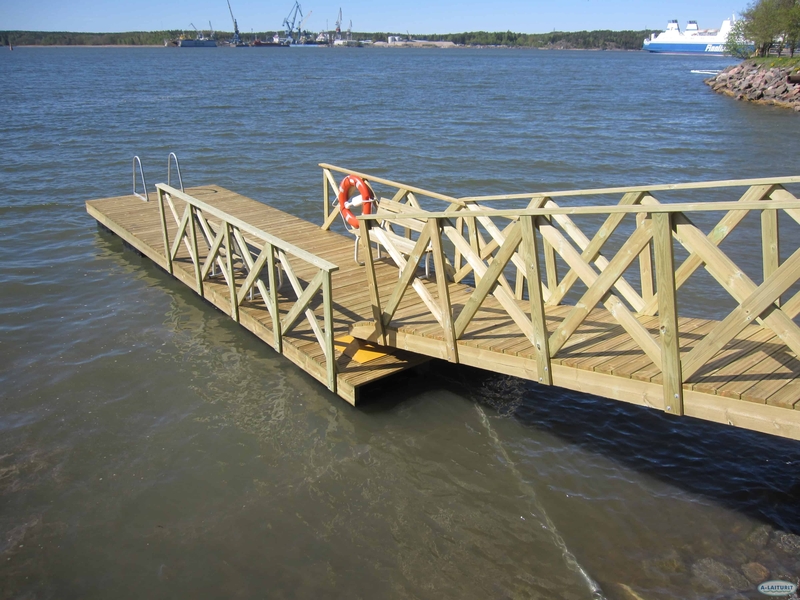 Nylon wheels are placed underneath the gangway and allows the gangway to move lightly and freely on top of the dock, following fluctuations in the height of the water surface. The plywood sheet and the nylon wheels are additional accessories. We recommend that the gangway be removed during winter so that the ice does not break the fastenings. The gangway can be lifted on top of the deck of the dock over winter.